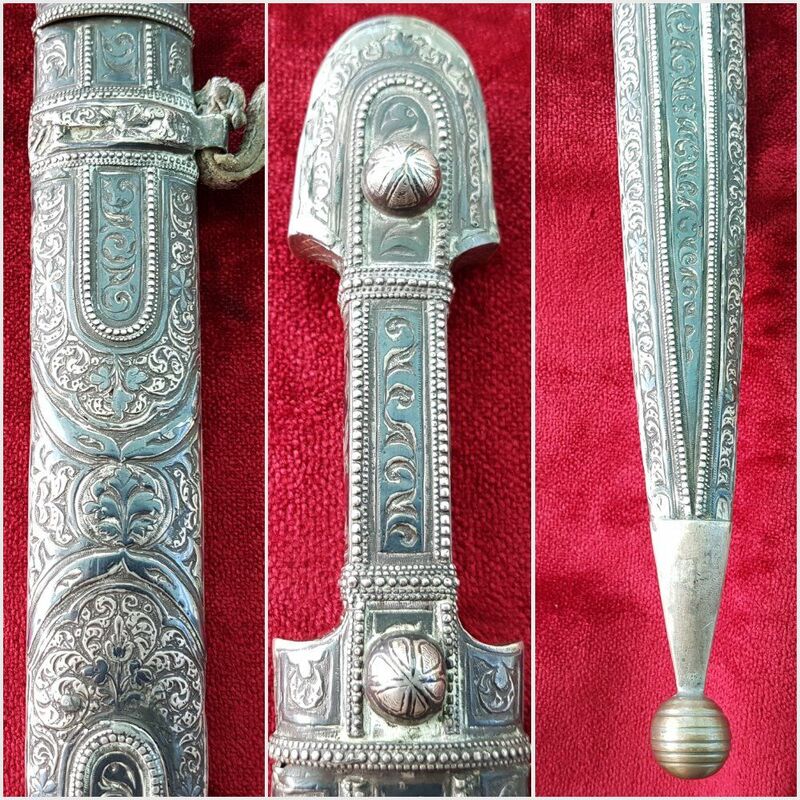 A fine Russian Kindjal the hilt and scabbard covered in nielloed silver mounts. 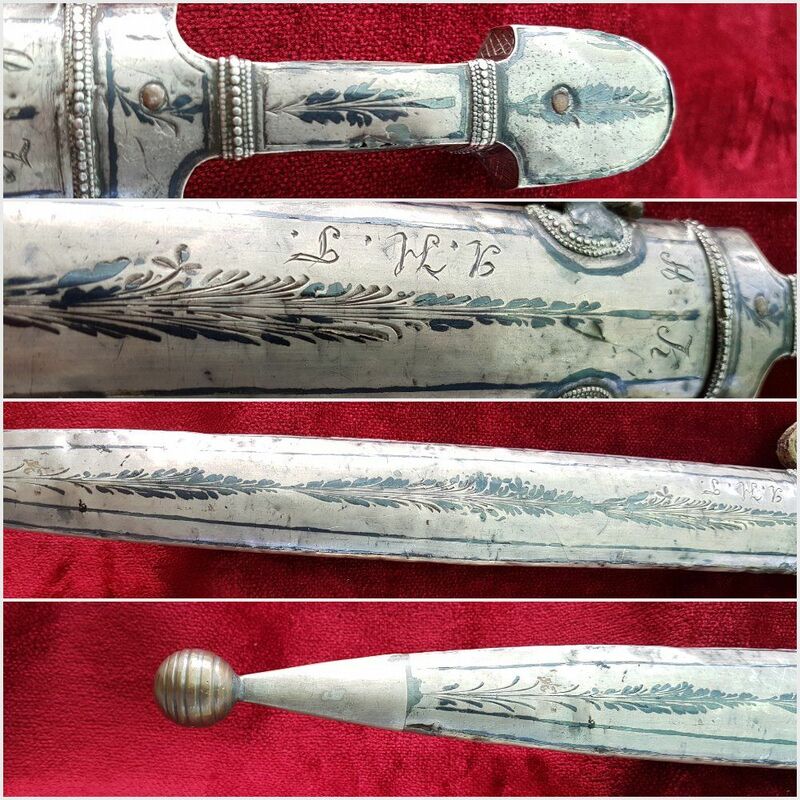 The silver scabbard inlaid with initials A. H.T. An extremely fine weapon. 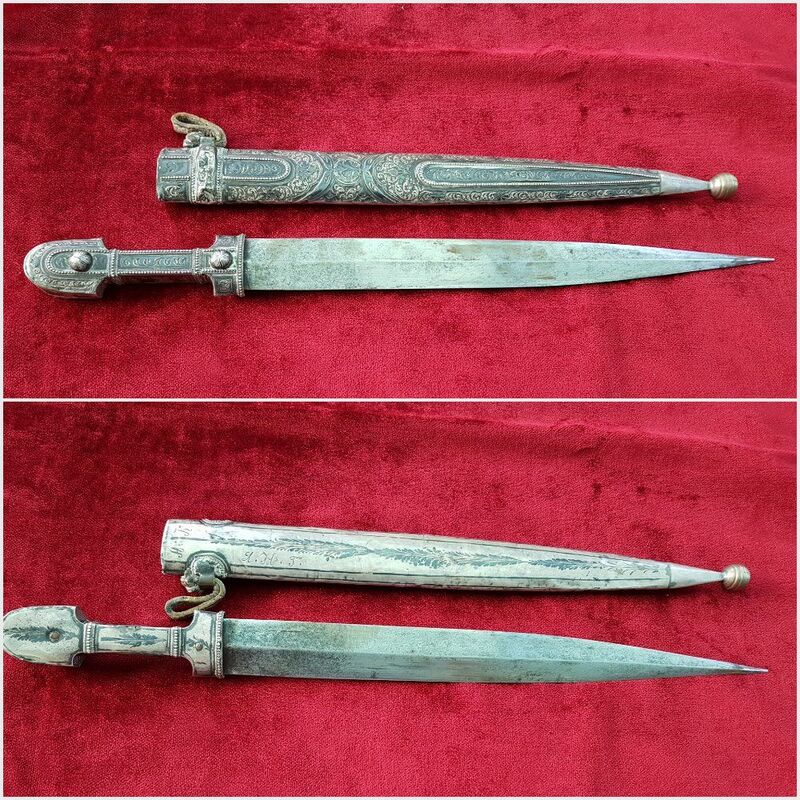 Double edged plain steel blade approx 12.5 inches in length. 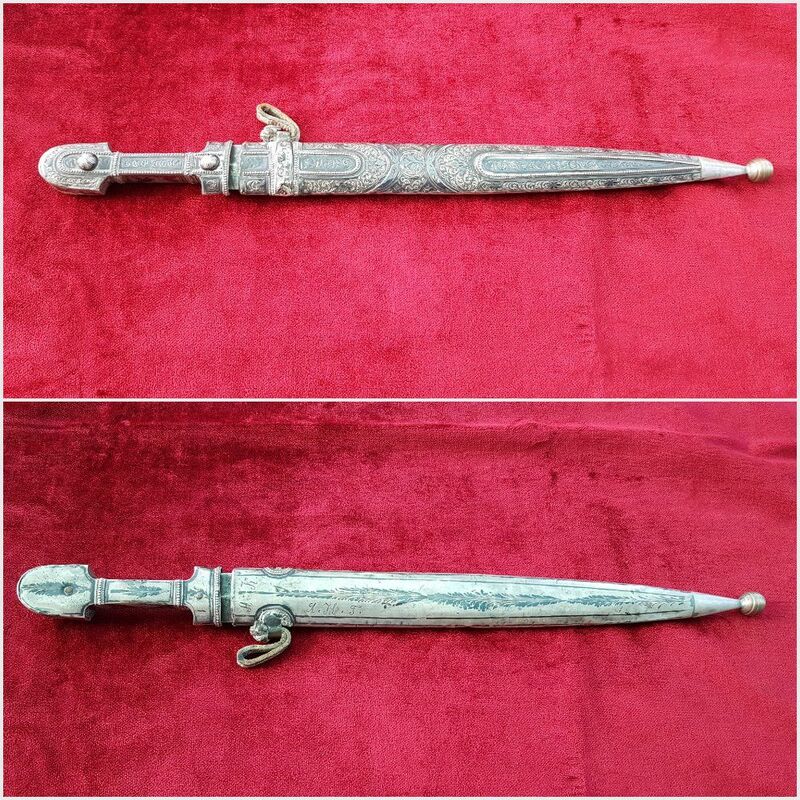 Overall length in scabbard 18 inches. The hanging ring mount is now dented. 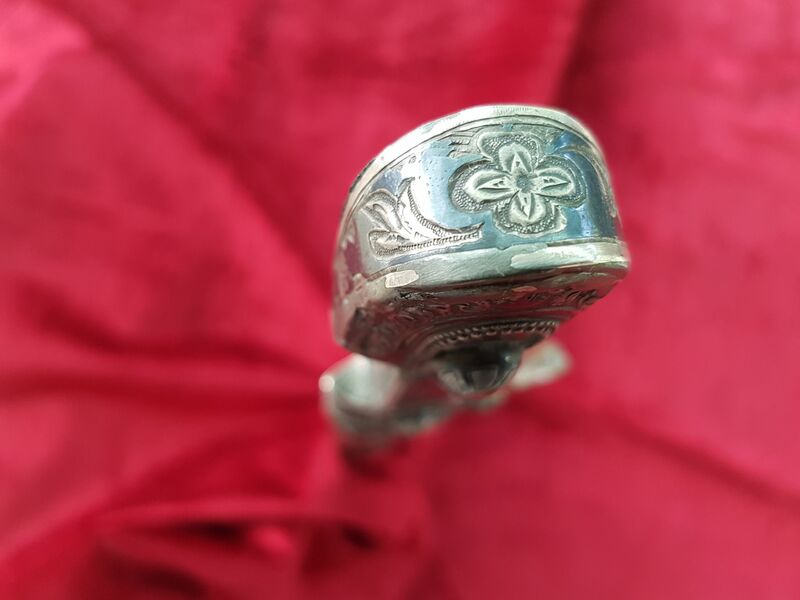 There are a few minor dents to the silver, otherwise in good condition. Ref 9825. 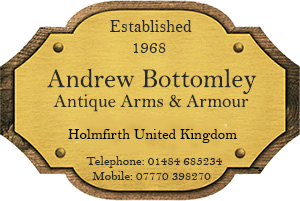 We can send any item overseas. We accept payment by debit card, credit card, or direct bank transfer, we make no extra charge for paying by card when you pay online using the World-Pay payment gateway, it is simple and very easy to use and protects both the buyer as well as the seller. Simply click the buy-it button on the item that you wish to buy, you will automatically be taken to the World-Pay secure site to enter your payment details.